The Nue Co. is a protein-based supplement brand that uses highly effective, easily absorbed active organic ingredients to boost the body’s natural functions. 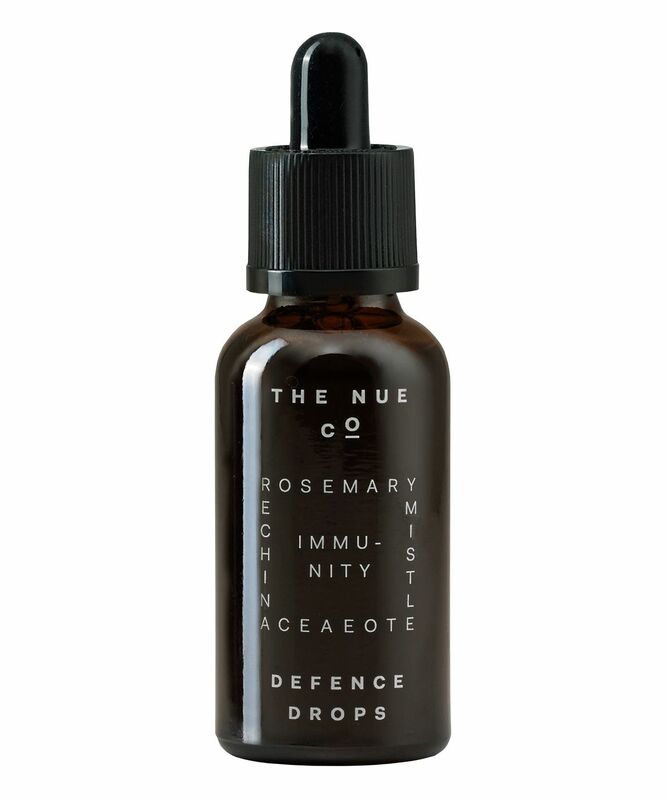 When it comes to guarding against illness or infection, think of The Nue Co.’s Defense Drops as your first line of defence. A powerful blend of Echinacea, mistletoe, schisandra and rosemary join forces to ward off signs of sickness through a three-pronged approach – anti-fungal, antibacterial and antimicrobial. 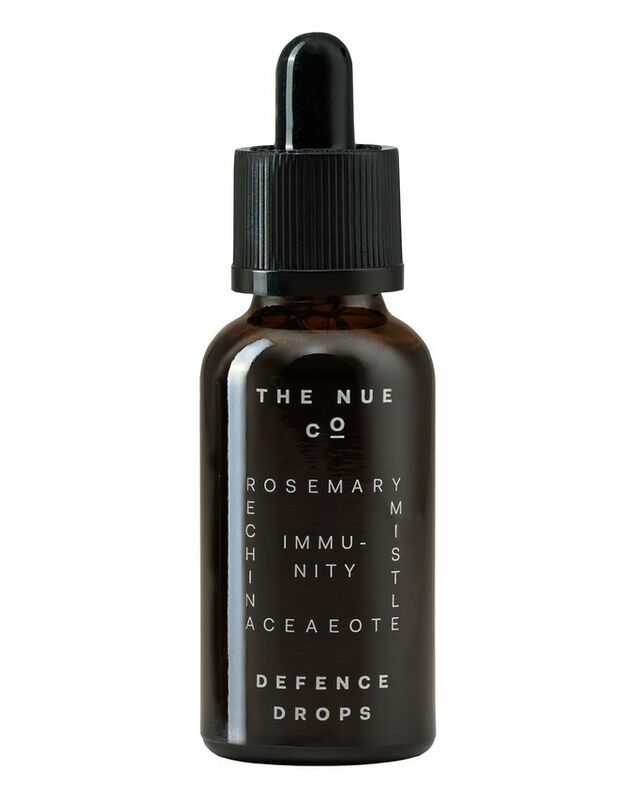 Boost your body’s natural defences and guard against unwanted bacteria and other nasties with The Nue Co.’s Defense Drops. Made in an alcohol-free tincture for optimum absorption and taste, this immune-boosting formula can be added to any liquid to create a potent first line of defence. A powerful blend of Echinacea, mistletoe, schisandra and rosemary join forces to ward off signs of sickness through a three-pronged approach, providing anti-fungal, antibacterial and antimicrobial benefits. Echinacea and mistletoe are proven to boost immune function, while adaptogenic schisandra and eleuthero help to fortify your defences. You’ll be fighting fit and feeling invincible in no time. Purified water, glycerine, Echinacea, Eleuthero, Mistletoe, Schisandra Berry, Rosemary, citric acid*, potassium sorbate*. *These sound scary, but they’re actually naturally derived stabilizers that help keep your tincture fresh.